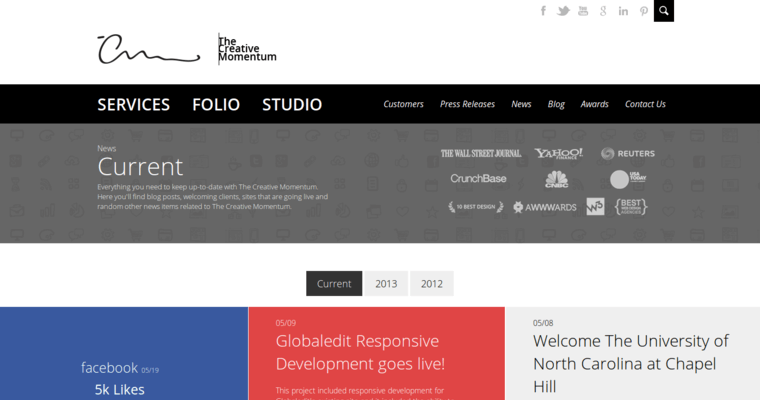 The Creative Momentum is a web design firm based in Atlanta, Georgia. They offer a variety of design services to customers located in the Atlanta metro area, including branding and company identity, graphic design, multimedia, search engine optimization, business mentoring and more. Some of the types of businesses they consult with include non profit organizations, high tech companies and security corporations. They work with a variety of platforms, including Wordpress and Joomla. They often package together multiple services to provide affordable solutions for their clients. 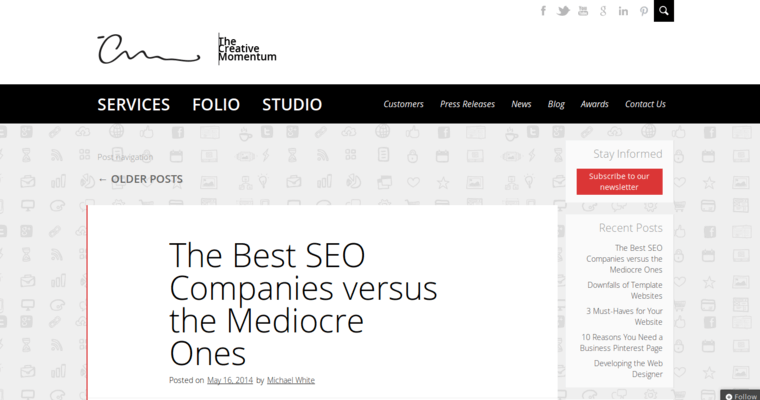 They've one numerous awards, including the 2013 W3 Gold Award and was listed on the "Tops Best Web Design Firm" list six months in a row. 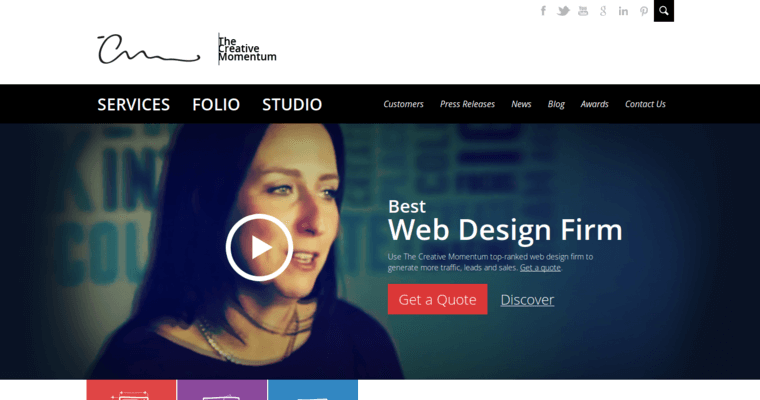 Every client that works with The Creative Momentum is given the full attention of a creative team and account manager. Each quote is custom and based on a customer's specific design, marketing and business needs.